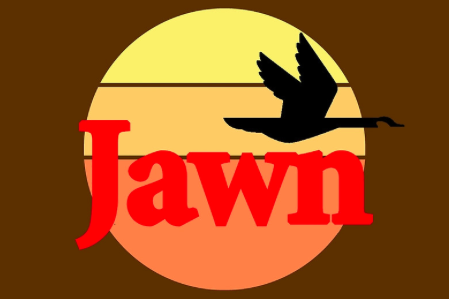 The novelty of the word "jawn" has sort of worn away in Philadelphia. It's not a bad thing. All it means is that everyone here is on board with having a word that refers to everything. More practical, less joke. Everywhere else, though? Jawn is a profoundly strange triumph of vernacular. How do you explain a piece of dialect that essentially replaces large parts of the language—i.e., all nouns? Is it laziness? A code for belonging? Something only weirdos in Philly would pick up? Well, guess what? Merriam-Webster, a great definer of words since 1828, is officially moving in the direction of cataloging an entry for jawn. In a special "Words We're Watching" column published this week, the dictionary describes jawn as "an amazing jawn," furnishing a perfectly correct usage of the term but stopping short of declaring it a real word. The article gives a fascinating etymology that begins with the semantic bleaching of the word "joint," first appropriated by bandleader Cab Calloway in his 1939 "Hepcat Dictionary." From there, linguists say it took root in New York City as a slang term for a place that's lively—or as Calloway said, a joint that's "jumping." When The Sugarhill Gang used the term "joint" in 1979's "Rapper's Delight," that's believed to be the point in time the word assumed noun-like qualities. "This sense of joint quickly spread among hip-hop fans up and down the east coast—including Philly," the article states, undoubtedly referring to a young Michael Nutter. "And this is where the story goes jawn-ward." University of Pennsylvania linguist William Labov's field recordings from the seventies help explain both the decisive generalization of jawn's meaning and the change of pronunciation in Philadelphia. One 1981 recording of a young black man in West Philly best illustrates the shift. According to Taylor Jones, a PhD student who has researched the origins of jawn and worked with Labov's Philadelphia Neighborhood Corpus, the young man used joint to refer to a bag, a place, women, and his own genitalia. These are uses that joint did not have in New York City. Philadelphia's joint had become its own joint. How Philly ending up morphing it into "jawn" has a lot to do with the way /oi/ is regionally voiced as you move north to south, the article says, with a looser vowel sound the further you move south. And for some reason, probably the same reason we now say jawn to begin with, we just decided the "t" was superfluous. Jawn may not be in the dictionary yet, but this is an encouraging sign it's going to have its day. Thank you, Merriam-Webster, for sparking this jawn.